You can’t steer a parked car. You think lack of time or strategy is what’s holding you back, but really it’s overthinking. Don’t wait to begin. If you’re waiting until you have the perfect plan to start, you never will. You’re trying to come up with the perfect strategy in your head before you start. That’s not how it works. Things will be different in practice. The sooner you get your hands dirty with experience, the better. Act first, then apply strategy to action. 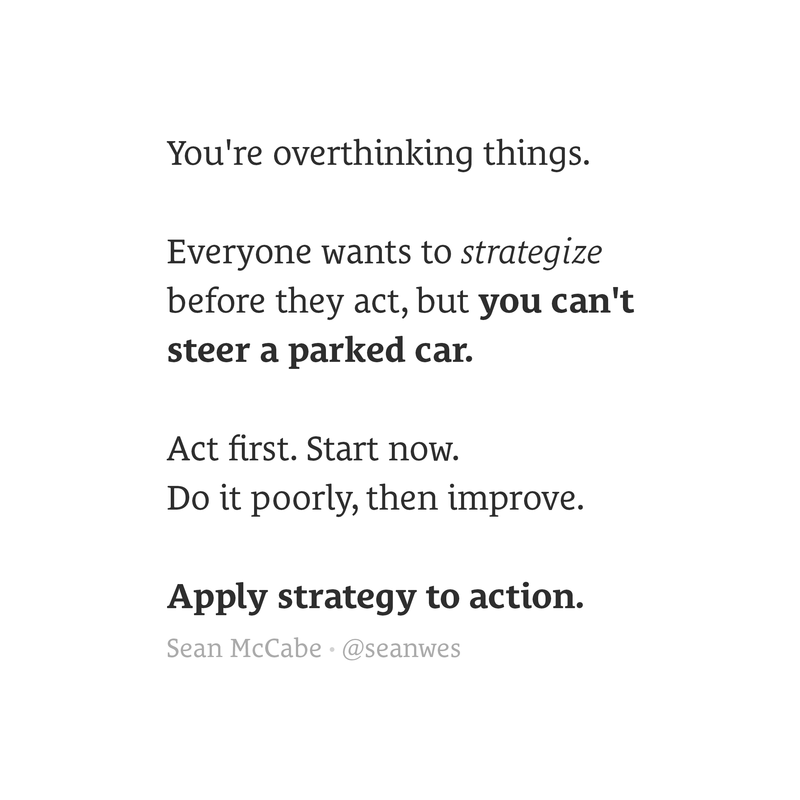 It bears repeating: Apply strategy to action. The first step is doing something poorly. I know you want to skip that step, but it’s part of the process. Doing something poorly always comes before doing something perfectly. You might as well begin the journey. You’ll always wish you started sooner.